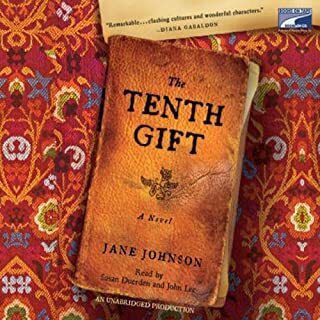 In an expensive London restaurant, Julia Lovat receives a gift that will change her life. It appears to be a book of exquisite 17th-century embroidery patterns - but on closer examination, Julia finds it also contains faint diary entries. In these, Cat Tregenna, an embroideress, tells how she and others were stolen out of a Cornish church in 1625 by Muslim pirates and taken on a brutal voyage to Morocco to be auctioned off as slaves. The Bartender' s Tale stars Tom Harry and his 12-year-old son, Rusty, who live alone and run a bar in a small Montana town in the early 1960s. Their lives are upended when Proxy, a woman from Tom's past, and her beatnik daughter, Francine, breeze into town. Is Francine, as Proxy claims, the unsuspected legacy of her and Tom’s past? Without a doubt she is an unsettling gust of the future, upending every certainty in Rusty’s life and generating a mist of passion and pretense that seems to obscure everyone’s vision but his own. In Atonement, three children lose their innocence, as the sweltering summer heat bears down on the hottest day in 1935, and their lives are changed forever. Cecilia Tallis is of England's priviledged class; Robbie Turner is the housekeeper's son. In their moment of intimate surrender, they are interrupted by Cecilia's hyperimaginative and scheming 13-year-old sister, Briony. And as chaos consumes the family, Briony commits a crime, the guilt of which she shall carry throughout her life. A man climbs over the railings and plunges into Niagara Falls. A newlywed, he has left behind his wife, Ariah Erskine, in the honeymoon suite the morning after their wedding. "The Widow Bride of The Falls", as Ariah comes to be known, begins a relentless, seven-day vigil in the mist, waiting for his body to be found. At her side throughout, confirmed bachelor and pillar of the community Dirk Burnaby is unexpectedly transfixed by the strange, otherworldly gaze of this plain, strange woman, falling in love with her though they barely exchange a word. What follows is their passionate love affair, marriage, and children, a seemingly perfect existence. But the tragedy by which their life together began shadows them, damaging their idyll with distrust, greed, and even murder. What unfurls is a drama of parents and their children; of secrets and sins; of lawsuits, murder, and eventually redemption. 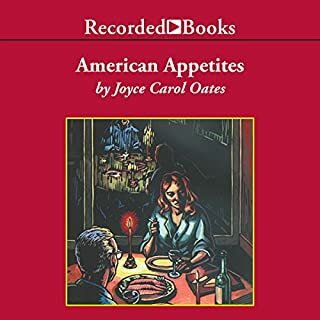 Set against the mythic historic backdrop of Niagara Falls, Joyce Carol Oates explores the American family in crisis, but also America itself in the mid-20th century. 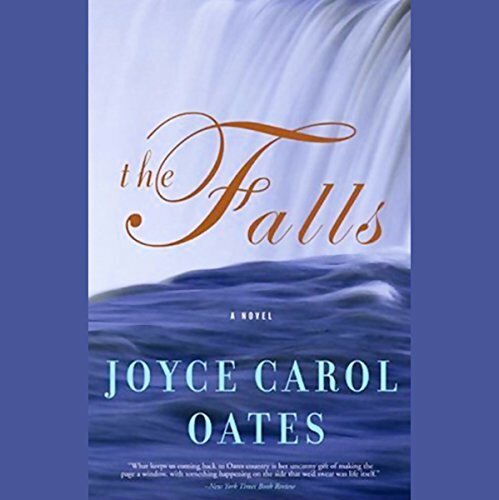 The Falls is a love story gone wrong and righted, and it alone places Joyce Carol Oates definitively in the company of the great American novelists. 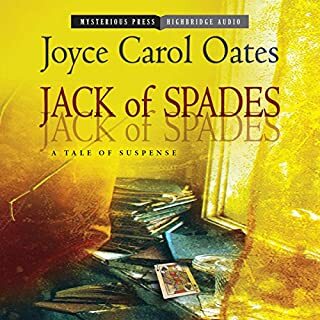 ©2004 Joyce Carol Oates and HarperCollins Publishers, Inc. (P)2004 BBC Audiobooks America Inc. I must take exception with several reviewers who complained about the narration of this remarkable book: it is equal to the task in every respect. In fact, I ended up searching for other titles read by the same narrator. The book, itself, is worth every moment of the time spent listening and now, two weeks after finishing it, the story continues to haunt me. Those simply looking for a good story will not be disappointed - you get twenty years of plot with intricate twists and turns. Dig a little deeper and you get such remarkable descriptions of characters and situations you actually watch while they materialize in front of you. I occasionally laughed, frequently got angry, and more times than I would like to admit felt a lump form in the back of my throat. Ultimately, you hope for justice for the many injustices thrust upon the characters, and while there is a satisfying conclusion, it feels real rather than contrived. Except for "We We the Mulvaneys" which I read a few years ago, I had not read any other Joyce Carol Oates since attending college in the 1970s. "The Falls" reminded me of what I have been missing. Ms. Oates is a prolific writer and am looking forward to reading everything I've missed over the last 30 years. This was a fully entertaining and captivating book. Weeks later, I still think about the characters. 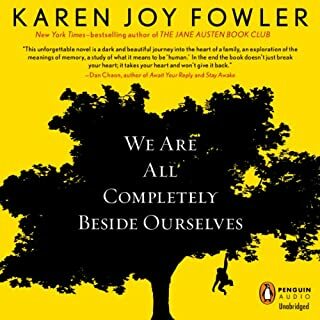 This was a pretty good audio book, however a bit long. There were some loose ends in the story line that were left hanging, but all in all a good book. The woman that reads the book did her very best I an sure with so many characters, but there could have been some improvement in that area. Some interesting facts about the Falls as well. I kept listening, hoping it would improve, but I finally finished and it didn't, improve that is. Narration was terrible. Book was just lots of words to make a short story really, really, really long. Don't waste your time. I have to preface this by saying I'm only about three hours into the audiobook. So far, the book itself is fine, but, good Lord, the narration is bad. Anna Fields, whoever she is, keeps launching into these goofy, artificially deep Forrest Gump-sounding voices whenever she reads men's dialogue. Who told her this was engaging? Seriously, she makes them all sound like the Jolly Green Giant. And for the female protagonist's voice, she does this wispy, breathy, totally fake sounding chirp. Really intrusive. Ugh. This listen had few redeeming qualities. The narration lacked tremendously. I was so confused at times because of the inability to distinguish what character was talking. And the author gave few clues in parts, especially at the end. I have never read or listened to anything by JCO before and I can honestly say I will not be tempted to do so again. If the reader/listener did not get bored with literary simplicities like "And they got married" (or whatever the phrase was) that she repeated every other line in Part II, they would get bored by the shallowness of the characters. Get real!! Probably the biggest thrill to me was hearing small town names I recognize because of living in the area. In fact, after hearing the first section, I came back to audible.com to try and figure out why I chose this book! It did want me to check out the reality of the Love Canal information. And isn't that sad? That held much more interest for me than the characters. Haven't read/heard any other books by JCO, so this was an experiment. The male voices were so bad, that I think some fairly serious characters sounded more like morons. Like most lefty books, the Love Canal issue is presented as a problem which should have been obvious from the beginning to even a child. If you read the facts of the land donation, building of the school, and various other entities involved, it seems more murky. Obviously the pollution problem was real, but the massive conspiracy theory at the hands of the usual suspects (corrupt politicians, corporations, and Republicans) wears a little thin. The story line is interesting but the reader is absolutely horrible for this story. Too bad. I would recommend buying the print version. Note, this is a book for women, or for men who like books for women. 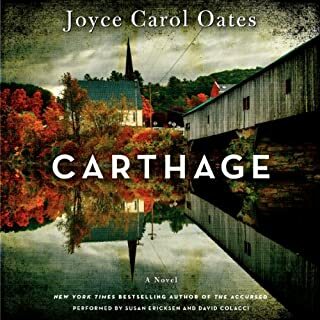 This was my first Joyce Carol Oates novel to read and I was really excited to read it. The premise was intriguing....a story evolving around the mysteries of Niagara Falls....it sounded like a wonderful book to read. I actually listened to this book and the narrator had a horrid reading voice and all her male characters sounded the same. Ariah was one of the most annoying and unlikeable characters that I have ever been introduced to in a book. I felt no sympathy for her because she was just freaking insane....all over the place with her emotions and ideas. I just wanted to slap her and knock some kind of sense into her. The first part of the book was so slow and was hard to sit through....nothing happened except for Ariah's first husband jumping into the falls......and then thousands of meaningless words that just dragged on and on. I still can't figure out what Dirk Burnaby ever saw in Ariah and why such a brilliant and powerful man would fall for such a whiny mousy woman. The story started getting better once the Love Canal story appeared. Once Dirk was gone....I just really didn't care about the book anymore and even the grown children and their lives didn't make the book any better. 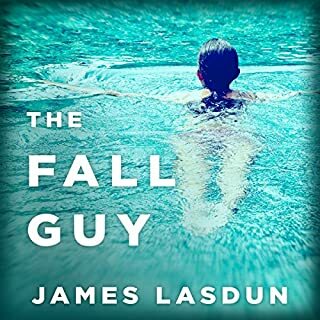 Once you start a book that has an annoying main character that never does end up with any endearing qualities......it makes it hard to find anything to like about the book. Will I give Joyce Carol Oates another chance?.....probably.....but I'm going to wait awhile before I try to read something of hers again. I like Anna Fields' narrations and thought this was one of her better efforts. However, I thought this was an awful novel. It just dragged on and really never went anywhere with the characters or the story. I simple did not get the "motivation" for anyone's actions. Too many words used for too little storyline.